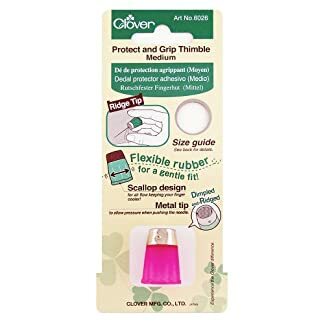 clover protect grip thimble. 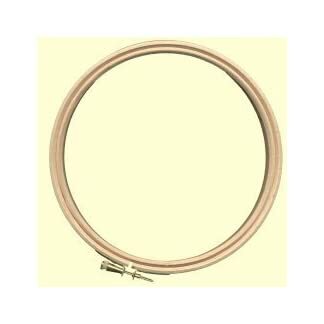 the perfect combination of materials makes a soft elastic finger protector with the safety of a metal thimble cap. this new generation of thimble will provide comfort and lightness for use in a wide range of sewing applications. the scallop design of the thimble provides breathability keeping your finger cooler. 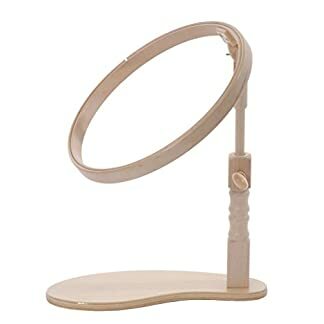 excellent elasticity helps the thimble form to your fingertip for a light fit. 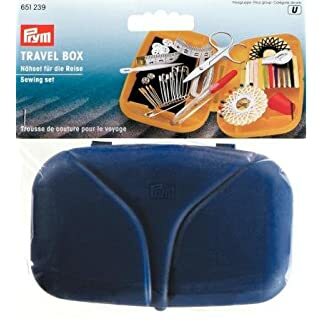 safe and smart with a ridged and dimpled cap which holds the needle in place. push your needles in safely and confidently. this package contains one medium sized thimble. imported. 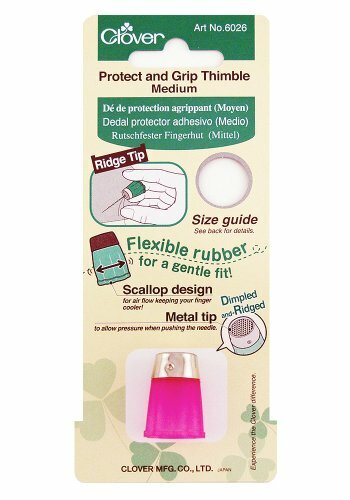 Estás viendo: Protect & Grip Thimble Medium- Amazon.es Price: 7,69€ (as of 25/04/2019 05:41 PST- Details) & FREE Shipping.